In 1991, several of my friends in Durham, North Carolina started playing golf in and around the Durham area. On occasion other friends from the Fayetteville area would join us. Eventually I invited both groups to a friendly competition to decide which city would have bragging rights. 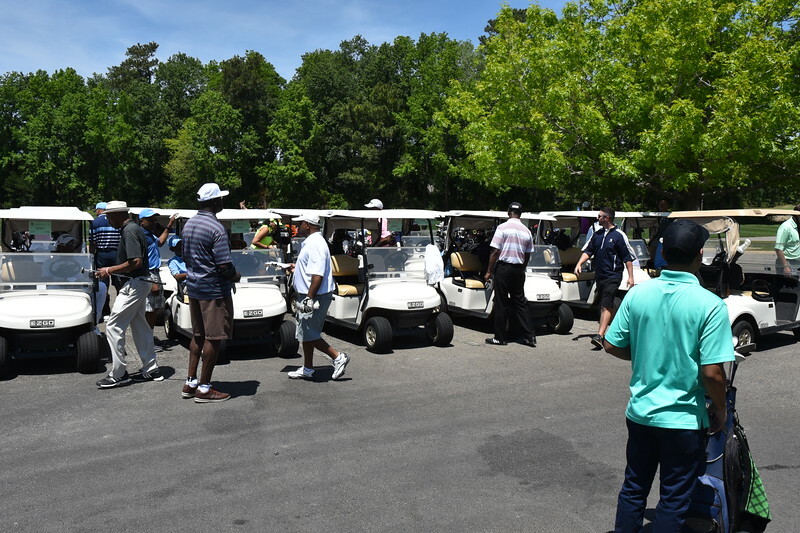 I also saw an opportunity for successful businessmen to network while enjoying new friendships and interest in golf. Later that year, we decided to meet in Myrtle Beach, South Carolina for three days of golf. For the next two years, we continued to go to the Myrtle Beach area, competing in a format that gave all handicappers a fair chance for bragging rights. Each year, friends of friends joined us. Someone suggested that we play for a trophy, prizes and create a name for the event. Thus, the annual competition became known as The R.E. Sutton Myrtle Beach Golf Invitational Championship. In May 2012, we celebrated our 20th annual event. Past Champions and stats are listed here. During the event’s short history, news of the great competition, outstanding golf courses played, and fellowship spread by word of mouth. The annual event has grown from the original nine to 90 players. In 2000 a reporter from the Charlotte News and Observer contacted me about writing an article on the history of the tournament and the experiences of the players. You can read the article here. The R.E. Sutton Myrtle Beach Golf Invitational Championship is by invitation only, and is limited to amateurs and weekend golfers in order to keep it a fair tournament. Invited players undergo a screening process and handicap verification. Handicaps range from 4 to 38. The playing field for the Myrtle Beach Championship has expanded to several states. It is my hope to foster open communication between all players, and continue the friendships and interest in golf created by the Myrtle Beach Championship. View our past champions and tournament stats here.